The Cleveland Orchestra’s 2019 Blossom Music Festival season, presented by The J.M. Smucker Company, will include 20 concerts taking place from the weekend prior to the Fourth of July through Labor Day weekend (June 29 – September 1). Winner of the Georg Solti Conducting Award in 2018, American conductor Roderick Cox makes his Blossom Festival debut in a program including Tchaikovsky’s crowd-pleasing “1812” Overture and music by Leonard Bernstein during the worldwide celebration of the composer’s 100th birthday. Rising jazz superstar pianist Aaron Diehl returns to the Blossom stage for an original take on Gershwin’s ever-popular “Rhapsody in Blue.” (July 5 & 6). Classical guitarist Pepe Romero will perform with The Cleveland Orchestra for the first time in over 50 years with Rodrigo’s colorful Concierto de Aranjuez for Guitar and Orchestra (July 21). Brian Wilson, songwriter and co-founder of The Beach Boys, along with long-time bandmates Al Jardine and Blondie Chaplin, joins the Blossom Festival Orchestra to perform the classic album Pet Sounds in its entirety, along with other chart-topping hits (August 11). The classic Rodgers and Hammerstein musical, The Sound of Music, will be performed in concert with singers from the Baldwin Wallace University Music Theatre program (August 24). These highlights join the previously announced films included on the 2019 season, Harry Potter and The Sorcerer’s Stone and Star Wars: The Empire Strikes Back (August 30 & 31, and September 1). 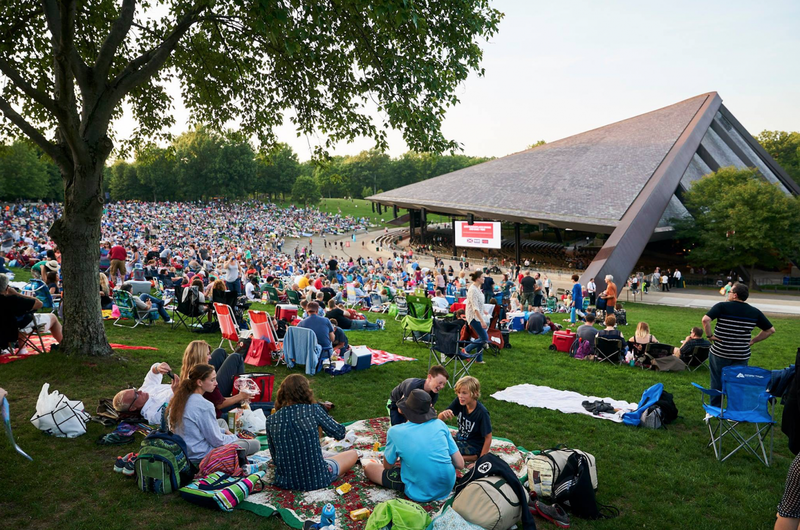 The “Under 18s Free” program continues to develop young audiences by making attending Cleveland Orchestra concerts affordable for families, once again offering free lawn tickets to young people (17 and under) for every Blossom Music Festival concert this season. The program offers two free lawn tickets per regular-priced adult paid admission to young people to any Blossom Music Festival subscription concert each summer. These tickets can be ordered online (once individual tickets for each Blossom season go on sale) or through the Ticket Office. “Under 18s Free” tickets are also available as part of Lawn Book purchases. For more information and to purchase tickets, go to clevelandorchestra.com. Previous article All-New March 2019 Issue Available Now!